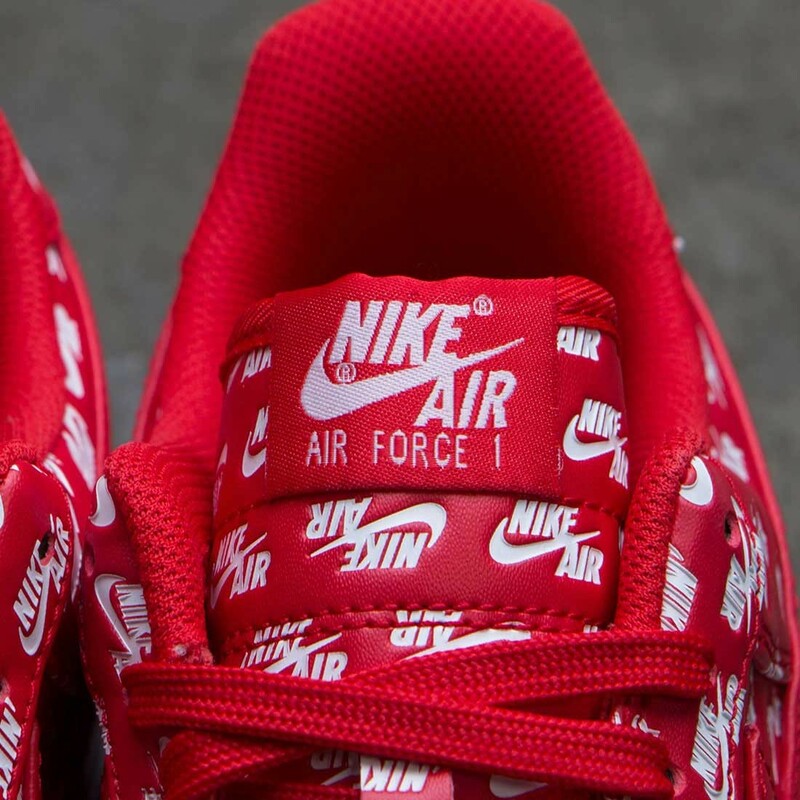 Anchored by a simple design, there's a reason the Nike Air Force 1 is regarded as one of the greatest sneakers in history. 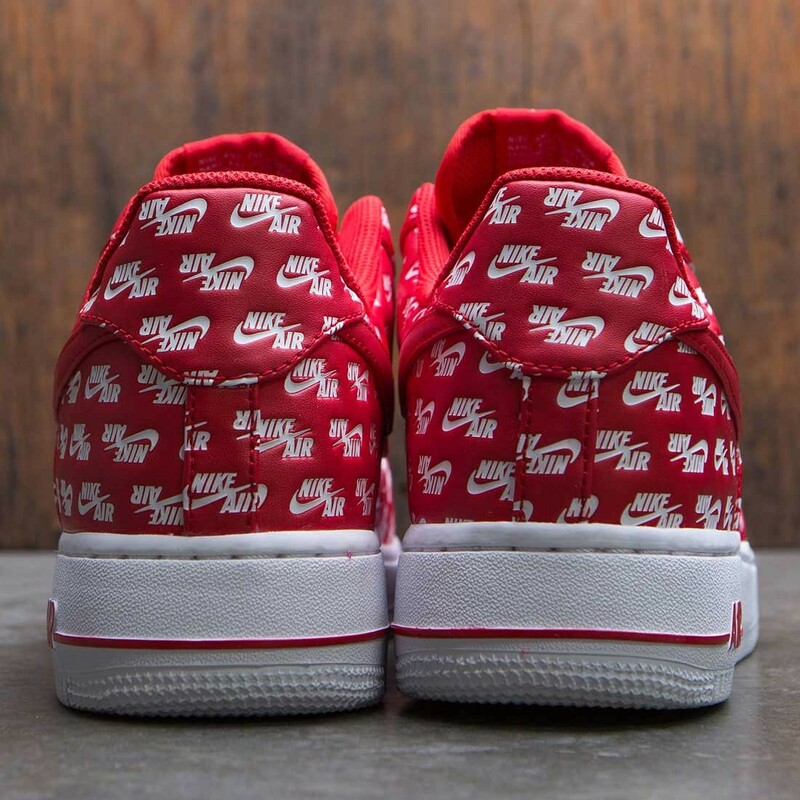 This quickstrike low-top “All Over Logo” version arrived in three colors: red, white, and black. 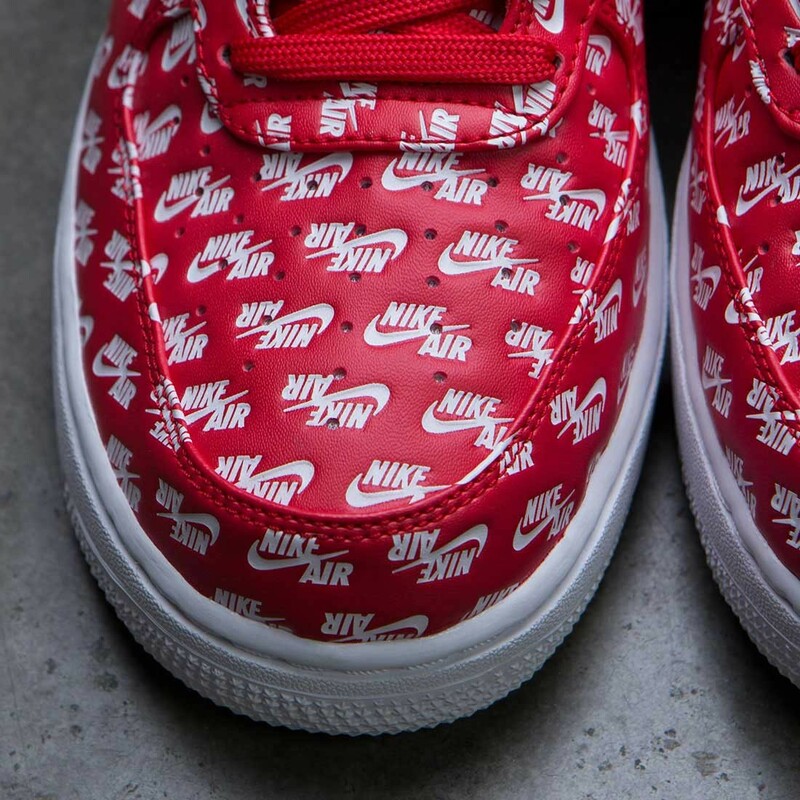 Here, we highlight the black pair, which features a crisp leather upper with white Nike Air logos debossed throughout, save for the black Swoosh. An icy white sole unit featuring a hint of black gives the shoe some balance. 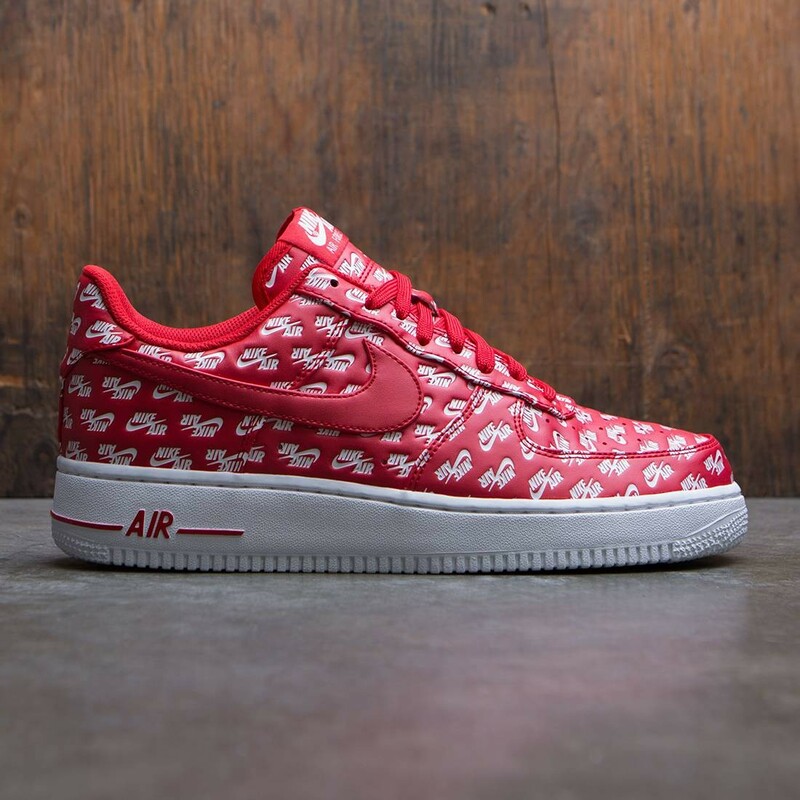 Never one to be ashamed of brand pride, Nike continues to find innovative ways to give the their iconic Air Force 1 Low model a lifestyle twist.